Michael has extensive experience providing news and analysis for television and radio audiences. Here is a selection of recent appearances. Early on Saturday 17 December, more than a dozen Turkish soldiers on day leave were killed in a suicide bombing in the central Anatolian city of Kayseri. In an appearance on LBC’s Maajid Nawaz programme later that day, Michael explains the situation in Turkey to a UK audience by drawing comparisons to the IRA in the 1980s. The morning after a section of the military attempted to seize power in Turkey, Michael appeared on LBC radio’s Andrew Castle show to try and make sense of a bewildering night. Providing commentary for Sky News’s rolling coverage on a fateful night for Turkey, Michael described the coup attempt as “a 20th century coup happening in the 21st century”, highlighting the parallels with the September 1980 military takeover. He added that unlike that coup, it did not appear to be orchestrated by the highest ranks of the military and there is no guarantee of success. Hours later the coup attempt would indeed fail. A month before voters in the UK decided whether their country should remain an EU member, Michael contributes to a Sky News report examining the role of Turkey in the referendum campaign. Many are upset by the anti-Turkish rhetoric because it misses the point of European Union enlargement, which is to improve conditions at home so people don’t feel the need to migrate. Originally broadcast on Sky News, 23 May 2016. Appearing by telephone on BBC Radio 2’s Jeremy Vine show, Michael Daventry comments on talk of a possible deal between Turkey and the European Union to return Syrian migrants in exchange for a visa-free regime for Turkish citizens. Originally broadcast on BBC Radio 2, 7 March 2016. Ahead of the Turkish parliamentary election on Sunday 7 June 2015, Michael Daventry comments on voting by millions of Turkish passport holders overseas and how they might affect the result. Originally broadcast on BBC World News, 6 June 2015. Michael Daventry discusses the role of the Turkish-speaking electorate in Enfield North, a Conservative/Labour marginal seat in the 2015 General Election, in a BBC Radio 5 Live special programme broadcast from the constituency. Originally broadcast on BBC Radio 5 Live, 28 April 2016. Voters in Turkey have been reacting to Prime Minister Recep Tayyip Erdoğan’s win in the country’s first direct Presidential election. Erdoğan declared victory yesterday, and this morning voters in Istanbul said they weren’t surprised by the result. John Rees is joined in the studio by Michael Sercan Daventry, English section editor at the Londra Gazete newspaper in London. Originally broadcast on Islam Channel’s The Report, 11 August 2014. 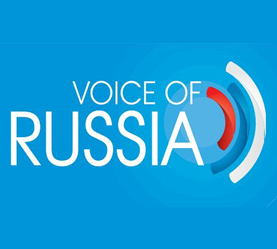 Michael joins a panel discussion hosted in London by the Voice of Russia radio service the morning after Recep Tayyip Erdoğan’s presidential election victory. Also included in the debate were Esra Ozyurek and Konstantinos Matakos from the London School of Economics, and Daily Sabah columnists Bünyamin Esen. Michael’s contributions are in the clip below; the full debate is available on the Voice of Russia’s YouTube channel. Presidential elections take place in Turkey on Sunday and, for the first time, voters have been able to cast ballots outside the country, including in London. The Turkish Prime Minister Recep Tayyip Erdogan is standing for President and has strong domestic support. But there is more at stake than which candidate will win. If Erdogan takes the presidency he will make it a much more powerful post. If he loses it will remain a more ceremonial position. Erdogan’s rule is controversial both at home where the Gezi Park protests mobilised many thousands and among the Turkish diaspora where an estimated 50,000 turned out in protest at his rule in Cologne last weekend. Joining John Rees in the studio are Michael Sercan Daventry, English Section Editor of the Londra Gazete; Hakan Camuz, chairman of MUSIAD UK, Turkey’s Independent Industrialists’ and Businessmen’s Association; and Güney Yıldız, a journalist from the BBC World Service. And by phone link is Fadi Hakura, an Associate Fellow from the think tank Chatham House.